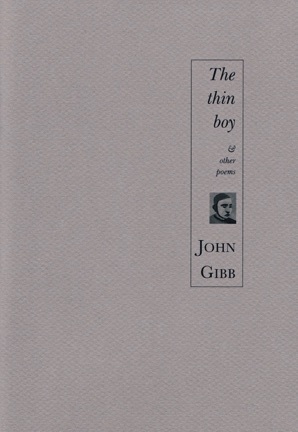 John Gibb’s poems have appeared in New Zealand literary magazines for several decades. An English honours graduate of Otago University and former student literary editor, he later worked as a crime reporter at the Wanganui Chronicle newspaper. He lives in Dunedin, where he has been a science and university reporter at the Otago Daily Times for more than 25 years. This is his first published collection. Glimmering through many of these poems are various arrivals and departures, among them the waking and sleeping which begin and end each day. Here too are many close encounters: with former Dunedin artist Eion Stevens and his paintings, and with several slightly quirky characters. A golf-loving senior detective nears retirement. A judge’s courtroom routine is unsettled by something forgotten. And from his grave deep under a garage floor, a murdered bank robber still dreams of making a final perfect getaway. 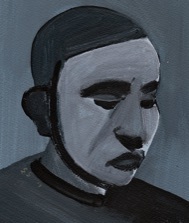 "Thin boy" image : Eion Stevens. Flaps on the clothes line. Fragments stretch out vapour trail arms. The shirts are still flying. Arms flapping in the breeze.